The American Alpine Club and C.A.M.P. held their annual Smith Rock Craggin' Classic over Labor Day weekend with pro athletes Beth Rodden and Jonathan Siegrist. 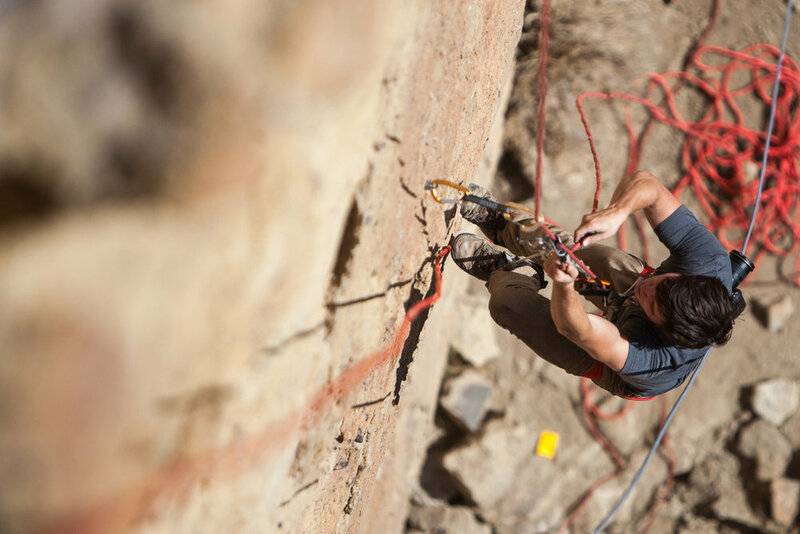 Each year climbers come from all over for clinics, food, beverages and the Craggin' Classic Raffle with movies on Saturday night. Starting with a happy hour and slideshow hosted by Black Diamond at Redpoint Climbers Supply Friday night while the rain dumped, it was all outdoors the rest of the weekend in perfect 70s climbing temps. Shoe demos and all day climbing clinics were available to attendees for an additional fee. They included footwork and next level climbing technique with Beth and Jonathan as well as a range of clinics presented by First Ascent/Chockstone Climbing Guides from beginning climbing to self rescue and rappelling systems. The weekend culminated with stewardship projects with the Mazamas climbing club, giving back to the park that gives so much to the climbing community. For more information on this annual event, go here.